The conflict in Syria is at risk of escalating from a civil war into a war between nations. Turkey began shelling Kurdish militia in northern Syria on Feb. 13, and its attacks continued the following day. In terms of international interests, the timing of the strikes couldn’t have been worse. 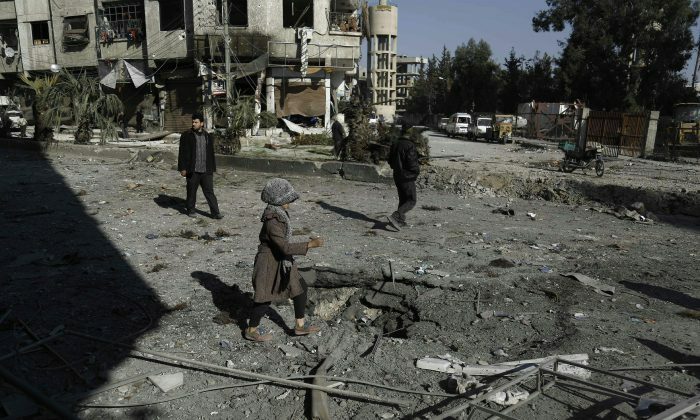 A ceasefire to the five-year war in Syria was set to begin in a week, after the United States and Russia set up the agreement on Feb. 12 in Munich. Instead, the situation has grown more severe, and more delicate. Already, there is a proxy war in Syria, with many rival stakeholders. A faction mainly under Russia, China, and Iran has sought to prop up the Assad regime. Another faction led by the United States has supported rebels. Most of the countries involved, however, use the excuse of fighting ISIS to explain their involvement. The real problem hanging over the conflict, however, is what happens when the nations the proxies represent begin fighting each other—which is now beginning to take place. Turkey and Saudi Arabia said they’re open to sending ground troops into Syria to fight ISIS. According to AP, both nations are leading supporters of the rebels fighting Assad. This would add to the presence of Iranian troops already on the ground defending the Assad regime, and Russian forces backing Assad and carrying out airstrikes against rebel positions. The Turkish strikes that began on Feb. 13 targeted an area under control of the People’s Protection Units (YPG), the main Kurdish faction in Syria, which has been an ally of the United States in the fight against the terrorist group ISIS. Turkish Prime Minister Ahmet Davutoglu claimed on Feb. 13 the strikes were in line with the rules of engagement and that the YPG “represented a threat in Azaz and the surrounding area,” according to Reuters. Turkey views the YPG as a part of the Kurdistan Workers Party, which Reuters reports has waged an insurgency for autonomy in southeast Turkey for three decades.